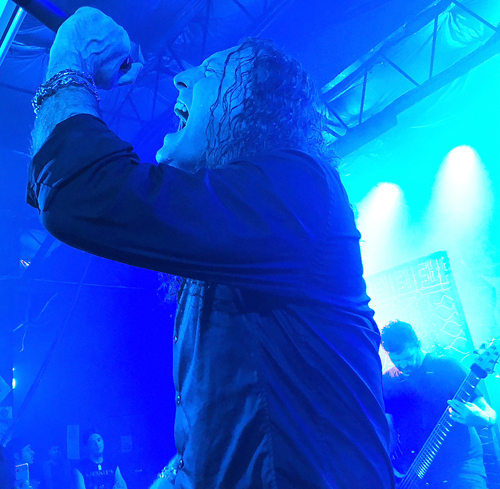 KNAC.COM - Reviews - ANGRA In Winter Park, FL With Photos! 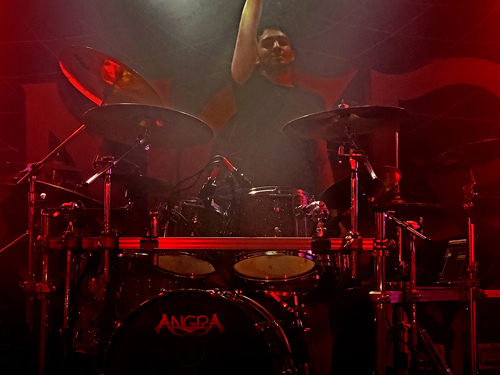 ANGRA In Winter Park, FL With Photos! 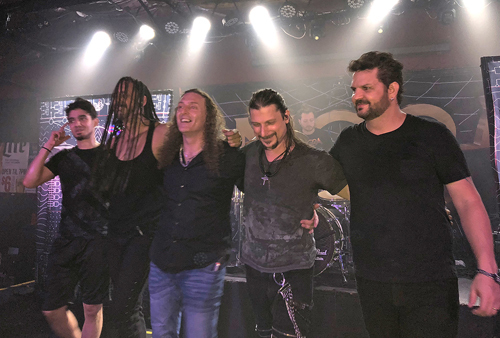 Central Florida was fortunate enough to witness Brazilian power metal band ANGRA on their first proper American tour, promoting their excellent new album OMNI. 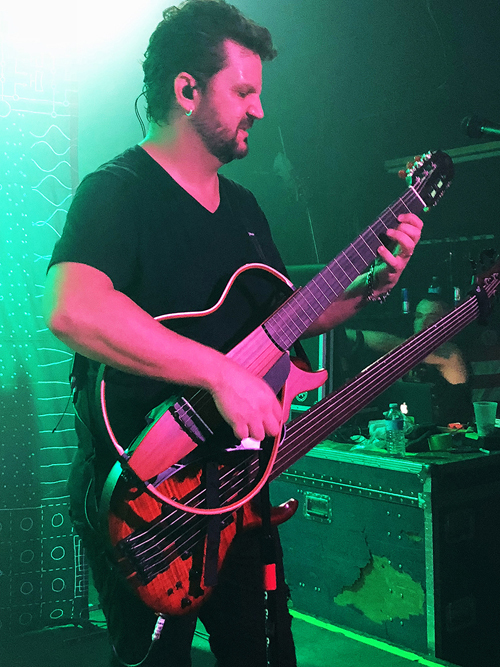 On Friday, September 7, 2018, the band played at The Haven, a nightclub located on Orlando’s east side. 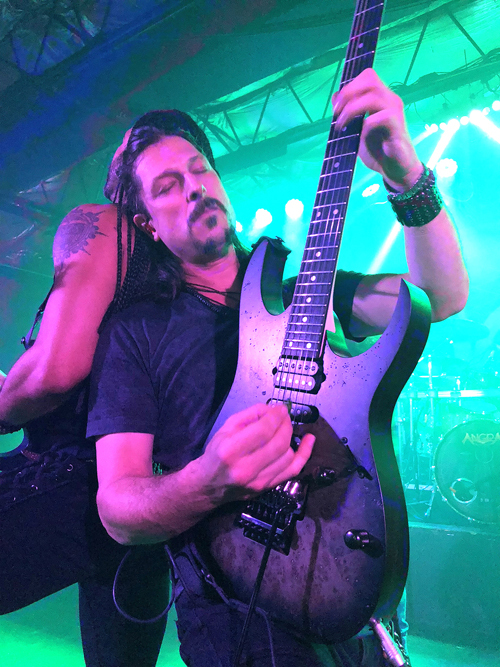 I’d seen ANGRA twice before this, both times at the ProgPower USA festival in Atlanta, Georgia. Both times, the band stole the show and blew me away. Back then, the band was fronted by Eduardo Falaschi. 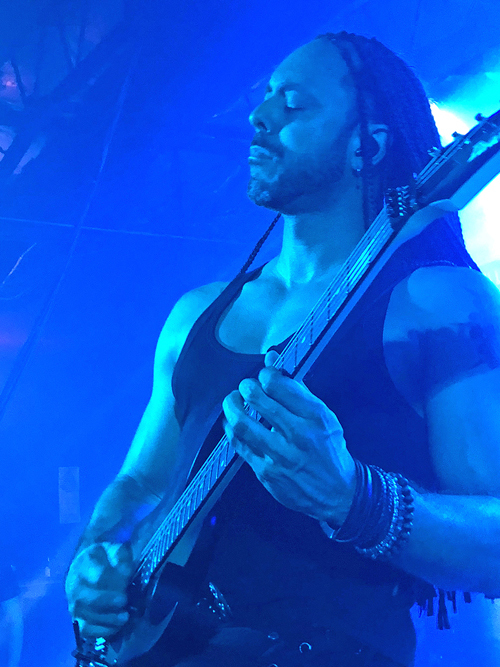 He has since left the band to concentrate on his own projects, leading to the hiring of former RHAPSODY OF FIRE and VISION DIVINE vocalist Fabio Lione, who has been in the band for six years now. Guitarist Kiko Loureiro is now a member of MEGADETH and is not currently playing in ANGRA, but is still officially a member. Marcelo Barbosa was hired to replace him in the lineup. Former drummer Aquiles Priester left the band in 2009 to focus on his band HANGAR. He was replaced by Ricardo Confessori, who left the band in 2014 and was replaced by current drummer Bruno Valverde. 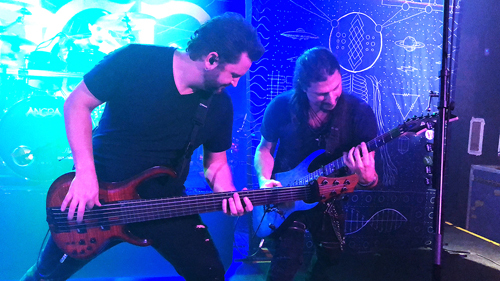 It is these members of Lione, Barbosa and Valverde who join longtime bassist Felipe Andreoli and founding guitarist/leader Rafael Bittencourt in the current touring incarnation of ANGRA. The Haven is a small nightclub at the end of a strip mall. There’s not much around it, just a few stores and businesses. There’s not much to do but walk around before the doors open, so I usually just walk around and say hello to people. I was able to meet Felipe and Fabio before the show and get photos and autographs. Walking inside later, I found out the band that was supposed to be opening the show, Romanian band SCARLETT AURA, was denied entry into the US and would not be performing. That left locals ARMOR OF GOD as the sole opening act, who played with passion to warm up the crowd. The turnout was decent, considering many local fans made the trip to Atlanta for ProgPower USA that week, and were still there while the festival continued. 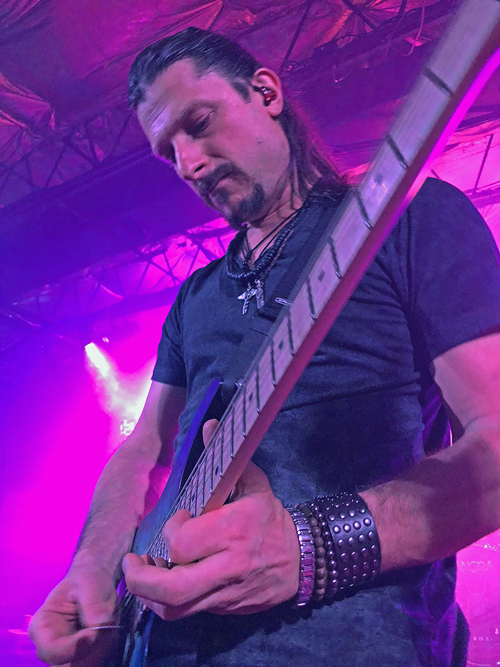 ANGRA played their first show of the tour at ProgPower USA, and Orlando was the next night. My friend Marcos and I stood front and center waiting for the show to start. ANGRA hit the stage around 9:30 pm, opening with “Newborn Me”, followed immediately by new song “Travelers Of Time” and “Angels And Demons” from 2004’s Temple Of Shadows. 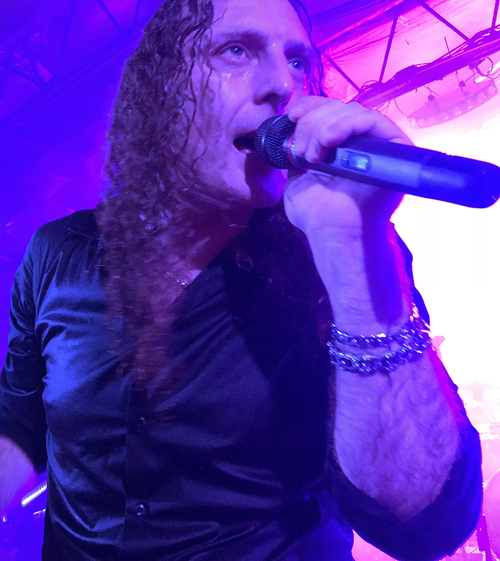 Lead vocalist Fabio Lione said hello to everyone, and the band launched into “Nothing To Say”, “Insania”, “Acid Rain” (a song they did not perform in Atlanta) and “Caveman”. Bruno Valverde then performed a brief but stellar drum solo. 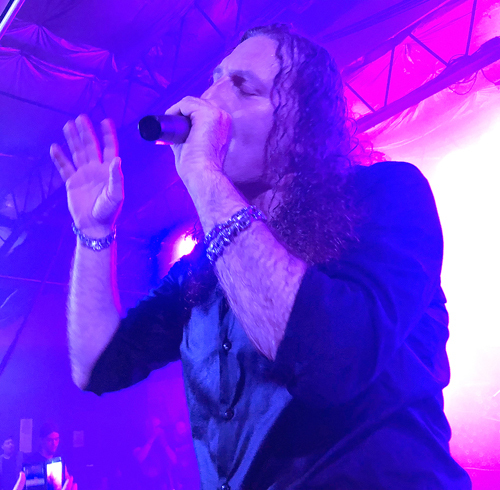 The band came back on stage to perform many more classics and new tracks, including “Running Alone”, “Spread Your Fire”, “Silence Inside” and Rafael Bittencourt provided lead vocals on new songs “Black Widow’s Web” and “The Bottom Of My Soul”. “Lisbon” and “Magic Mirror” (one of my favorites from OMNI) closed the main set. The encore consisted of classic ANGRA songs “Rebirth”, "Carry On" and “Nova Era”. 17 songs were performed in all. This band was on fire. Fabio’s vocals were ear-splitting and his stage presence was impressive. I saw him perform with RHAPSODY 13 years prior to this when they toured with MANOWAR, and I can honestly say the man has only gotten better over the years. What a voice, and what a band. Every member is simply fantastic. 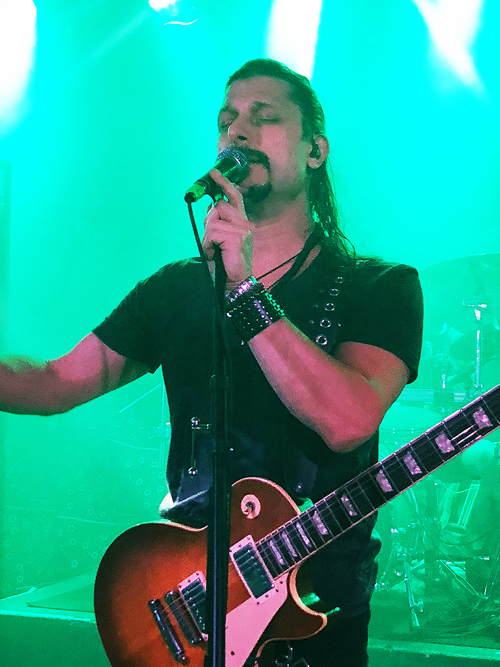 It was good to see that ANGRA played three shows total in the state of Florida. We sometimes get passed over, (as was the case with the recent JUDAS PRIEST tour, for example) or only get one show. So three is pretty cool. The OMNI North American tour stretches all the way across America to California, and then ends back in Cleveland, Ohio on October 14th. See this tour if it comes near you!